What is an ARB Approved Contractor? What is an AA Registered Consultant? Why use an ARB Contractor? Where can I find jobs? Why should I use an ARB Approved Contractor? Disclaimer: The views and opinions expressed in this article are those of the author and do not necessarily reflect the views of the Arboricultural Association. VETcert is coming – can you help? Please help AA Associate member Alexander Laver by completing this short survey. What next for Forestry and Arboriculture Apprenticeships? A new arboricultural training centre has opened in the Midlands. An update of the Staionary Rope Work Positioning project. This year Myerscough College has become a Bartlett Tree Foundation School. Strengthened measures against Xylella to come into force on 26 November 2018. The NATO and LTOA announce both organisations to joining forces. Dead standing trees – to keep or not to keep? What does the tree health strategy mean for the industry? Confor has strongly welcomed the announcement that an additional £19m will be provided in England to support productive planting. , said chief executive Stuart Goodall. £19.2 million has been made available by the UK Government to support the creation of new woodlands over 30 hectares, which will help meet future carbon targets. Confor wrote to the minister on 18 October asking for additional funding following the Paris Agreement of December 2015, noting that tree planting is a cost-effective way to reduce carbon in the atmosphere and that there was still a strong need to plant more productive woodland. "The Woodland Carbon Fund is designed as a simple, demand led grant scheme to demonstrate how woodland creation can help meet Government's future carbon targets and deliver the wide range of other benefits that woodlands bring. Maximum grants available will range between £6,800 and £8,500 per hectare depending on its location, with the higher rate available where there is an access need and permissive access is granted. Full details of how to apply and the criteria necessary will be available on the Forestry Commission website www.forestry.gov.uk/england-wcf which will be open from 13.30 hrs on 10 November. Arboricultural Association Ltd. A company registered in England at The Malthouse, Stroud Green, Standish, Stonehouse, Gloucestershire GL10 3DL, UK. Company number 4070377. 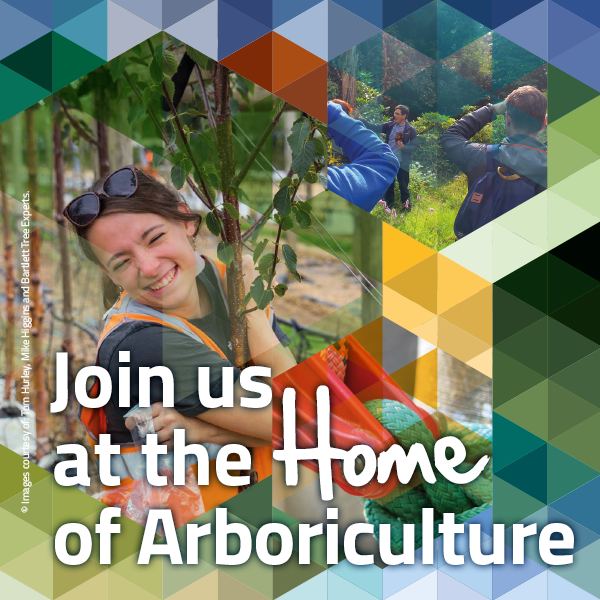 The Arboricultural Association is a registered charity no. 1083845. Copyright © 2019 The Arboricultural Association. All rights reserved.